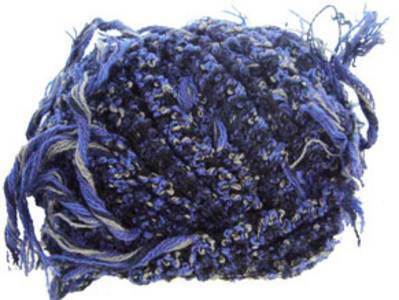 Katia Chamonix 207 in blue is a super chunky shaggy mesh yarn made with 43% merino wool, 42% acrylic and 15% nylon. 12-15mm needles recommended. 28m per 50g ball.